I just have to say what a stupendous experience this was- (Bach- Die Künst der Fuge , Busoni-realization of the last Contrapunctus, and the organ transcription performed at St. Sernin Toulouse). Beyond the transforming music, 3 concepts I've been toying with came together. First- Die Kunst itself- open score- and how it might be performed. I as a visual artist in the 1980's...before computer... made fiber weavings of every fugue. The idea was to capture the sense of each fugue in yarn and woven cloth. I was a 5 year project and has been seen only rarely since. But what to do with the realization. Second- Busoni seemed a good choice to complete the quadruple fugue, but until now the original piano version always seemed overly wrought to my ears. A friend of mine, well versed in Bach and also in Die Kunst always maintained that he thought the fourth theme was the original come back. Logic would dictate a kind or arc with the apex at the combination of the three themes where Bach left off. (He even showed its logic to me with the double and triple fugues). 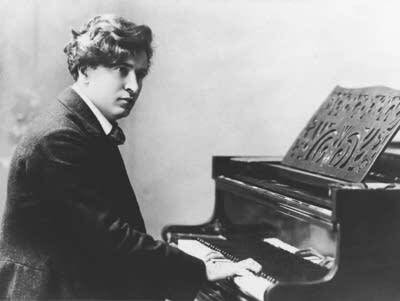 But the organ version of Busoni seems also to work for me, which is strange because it increases in complexity. Third- to St. Sernin. I teach art history and this church figures prominently in my lectures. What interests me is that each cathedral in France seems to have acquired a Caville-Coll instrument and this has me pondering how the various cathedrals have their own unique acoustic space and how the organ builder was able to sense that. So, tonight, it was such a joy to be immersed in that sound and piece. It's interesting to think of temperament, Die Kunst and acoustic space all at once-like a large circle closing on itself. Thanks for the wonderful response to this past week's PIPEDREAMS program. What a marvelous circuit of relationships! Bach's art is so cerebral, yet also so visceral, and the Middelschulte organ transcription of Busoni's Fantasia really sets the cosmos spinning. Though I am aware that the Busoni was not 'easy listening' (nor is Bach, and I will be doing an entire program of The Art of Fugue next month!! ), it is such an important artistic statement/experiment, and so compellingly played by Pierre Guillot and so perfectly captured in his recording at St. Sernin, that I couldn't help wanting to share it with whomever would actually listen. You 'got it'! Yay!! Again, thank YOU for (really) listening.